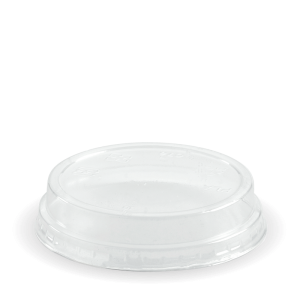 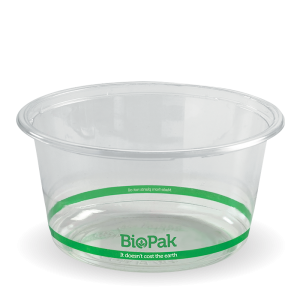 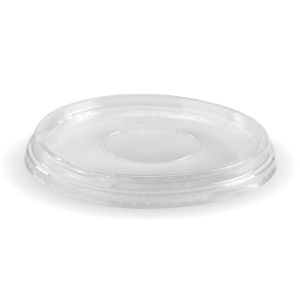 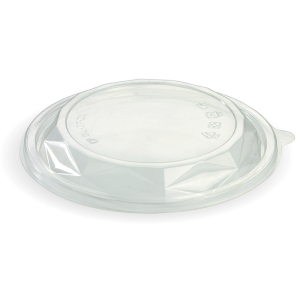 BioPak clear bowls may look and perform like any other plastic bowls, but ours are made from Ingeo™, a plant based bioplastic. 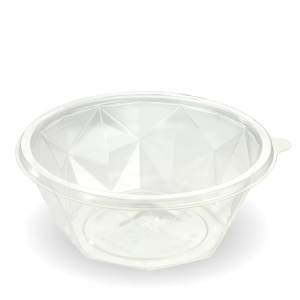 Producing these bowls results in 75% less greenhouse gases than the conventional plastic it replaces. 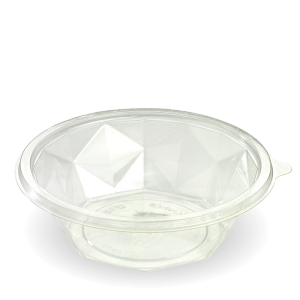 Suitable for serving cold meals. 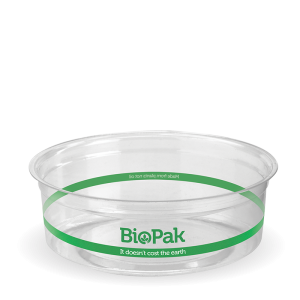 Bioplastics have a 6-month shelf life from purchase and must be stored out of direct sun and below 35°C. 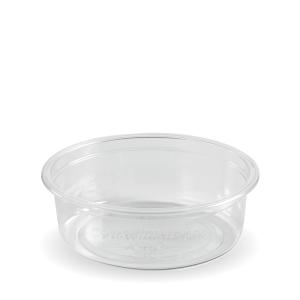 These bowls are certified commercially compostable. 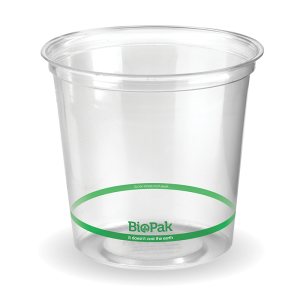 A bioplastic is a substance made from organic biomass sources, unlike conventional plastics which are made from petroleum. 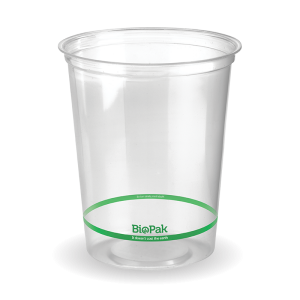 Bioplastics are made through a number of different processes. 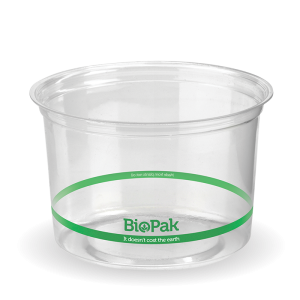 Some use a microorganism to process base materials, such as vegetable oils, cellulose, starches, acids and alcohols. 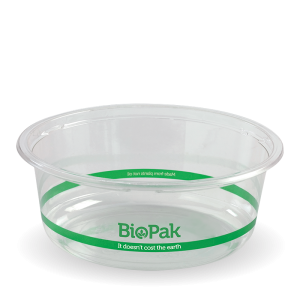 Bioplastic packaging is better than conventional plastic packaging as it helps reduce the dependency on limited fossil resources, which are expected to become significantly more expensive in the coming decades. 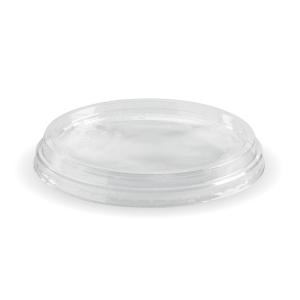 Slowly depleted fossil resources are being gradually substituted with renewable resources. 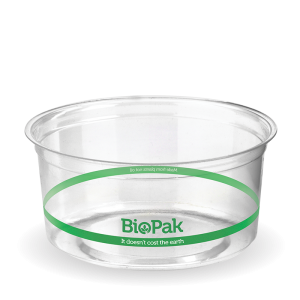 Bioplastic is predominantly manufactured using annual crops, such as corn and sugar beet, or perennial cultures such as cassava and sugarcane.